myGanBlog: Sharks vs. Whales: It's a Tie! They are both awesome! Sharks vs. Whales: It's a Tie! They are both awesome! Augie: I really like exploring the ocean. Augie's statement seems to reflect the groups interest. Judah: Look I am stamping shells with Sadie. These are invertebrates, but the sea horse is a fish. 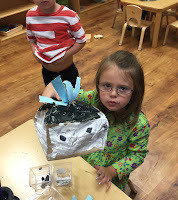 Nora: We are building a boat but it is a castle boat that floats as a castle. From a floating castle boat you may see sharks. 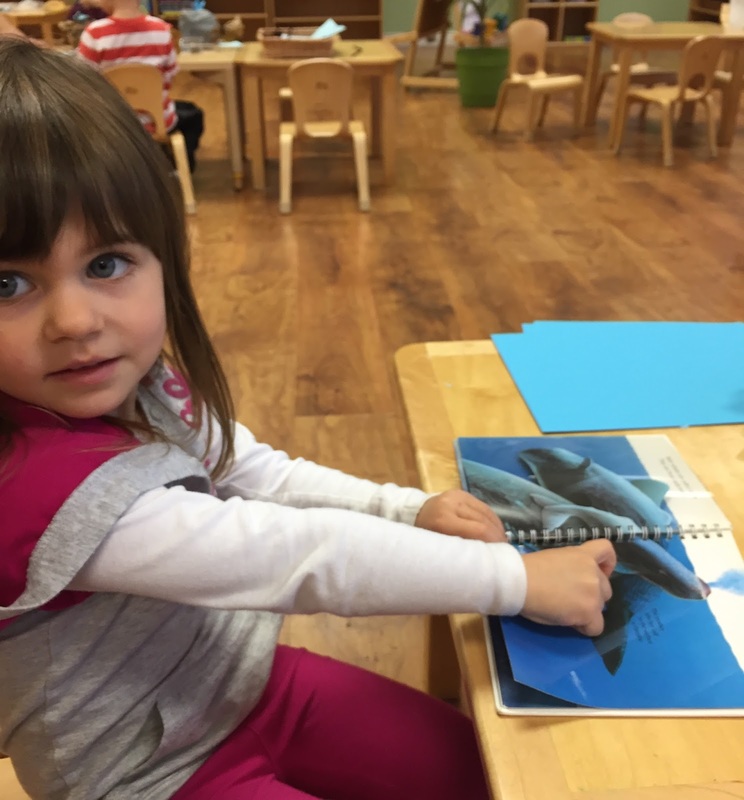 Morah Katie: What should I know if I see a shark? Clara: Whale sharks are gentle. Abe: They are the biggest fish. 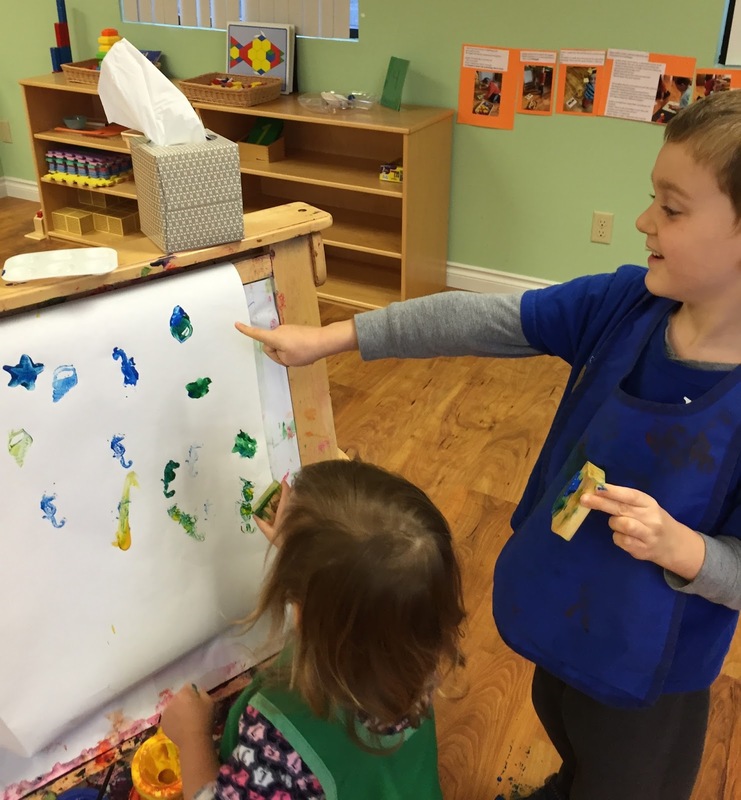 Matan: Big sharks hunt and bite. They have backbones. It's going to eat this fish up! Evan: Whale sharks eat plankton and go slowly. Abe: Great white sharks are hunting sharks. Augie: Whale sharks can be as long a school bus. Judah: There are so many sharks, 400 different kinds. 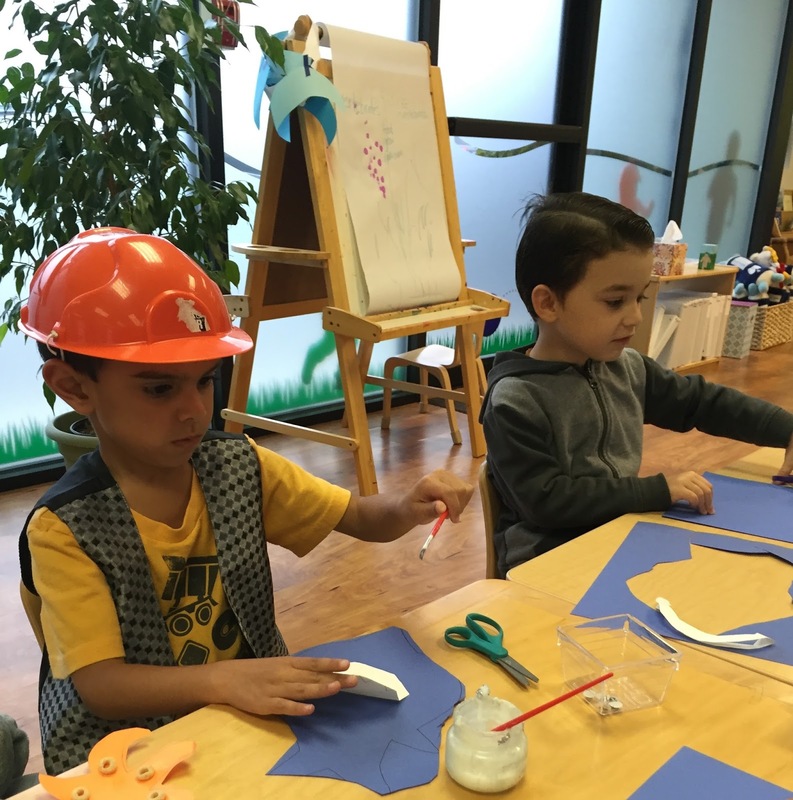 Augie: When a shark loses its tooth it falls to the bottom of the sea and the shark grows a new one. Judah: Sharks are always losing teeth and regrowing them. Judah: This is a big boat you can take on the water. While on a boat you may also see whales. Morah Katie: What should I know about whales? Evan: Blue whales have backbones and can be as long as 2 school buses. Its like THIS LONG. So long. Evan: But where are it's teeth? Clara: They don't have teeth. Morah Katie: They have Baleen. Clara: Baleen is like a strainer. They don't bite their food. Evan: They eat krill like whale sharks eat krill but they aren't sharks. 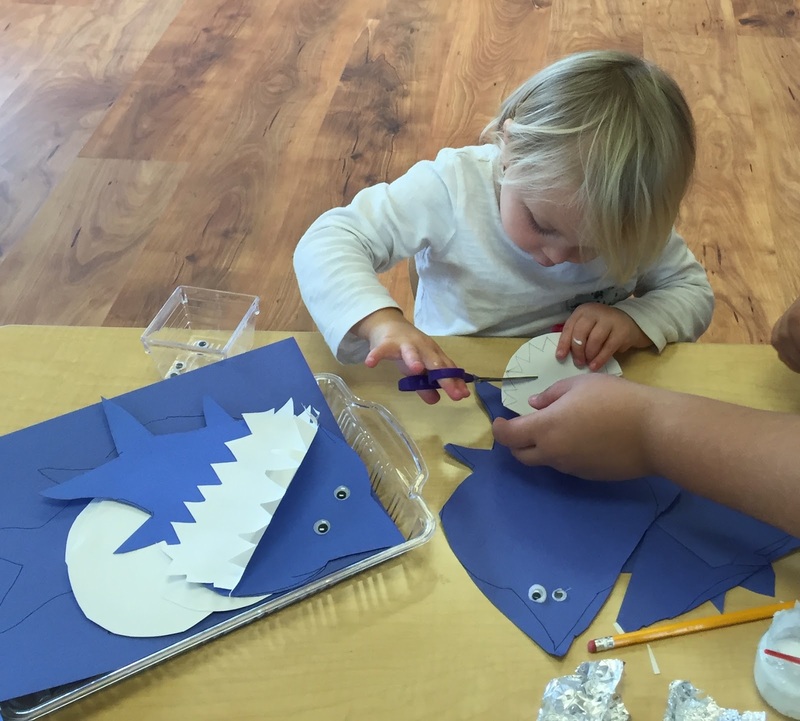 Judah: Some whales have teeth. Morah Katie: Judah you have a sperm whale, it is a toothed whale, what does tell you about it? Judah: It eats things like squid and fish. 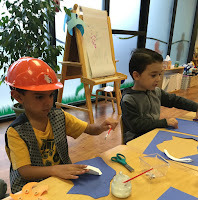 Matan: They use teeth to bite and hunt. Clara: I'm black and white, now I'm an orca! Nora: I'm an orca too! Morah Katie: Why are orcas black and white? Abe: To hide and hunt so they can't be seen. They are camouflaged. Ari: They are good hunters. Clara: This is my orca spouting water. Morah Katie: Narwhals and orcas are both toothed whales, but how are they different? 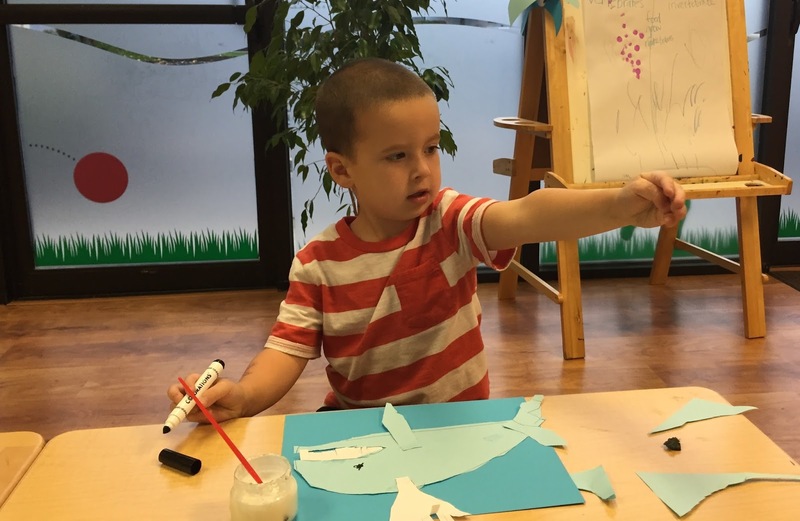 Judah: Narwhals are gray and orcas are black and white. We discovered that whales and dolphins like to play. They live in family groups and enjoy leaping in the water. Olivia: The mommy is helping the baby whale breathe air. Clara: The whales are not fish. They are swimming together. They breathe air. But they have backbones like fish. 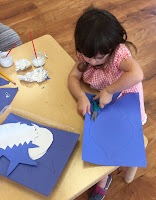 Evelyn: The sharks have gills and have to keep moving. And I know that whale sharks move really calmly. Augie: Half of them sleeps and then the other half sleeps. Abe: One of it sleeps and the other keeps it moving. 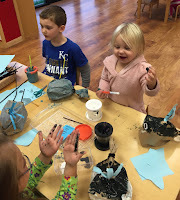 Morah Katie: Scientists think that a shark can rest half of it's brain, the other half will keep it moving so it can get the oxygen it needs as well as rest. Scientist think that the sides of the brain take turns. Otherwise the shark would never sleep! Abe: That wouldn't be good.